You know us for the XRAIL, but that’s only one of our innovations. We have many Shotgun Innovations! That’s why we are The Shotgun People. If going to SHOT Show 2019, Check out our newest innovation, the Quad Vacuum Port XB3G Receiver… replaces your current receiver with loading port work, captured follower connection, rear pistol site cut in, picatinny rails, threaded latch pin, and more already build into it. Or buy the gun already complete. We are at Booth #2701 for the 10th consecutive year. 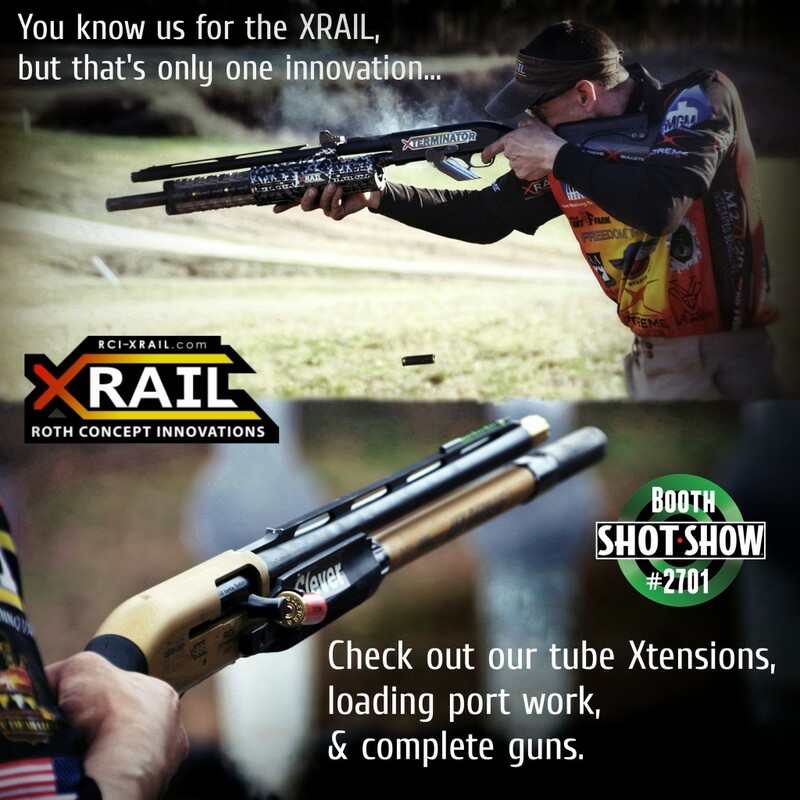 Search ROTH Performance or RCI-XRAIL in the SHOT Show app.